​The Institute has a dedicated management staff composed of educators who will interact with school children, prepare exhibits for public viewing, and interact with the researchers to incorporate their findings and lead visits to their field sites and laboratories. The Aucilla Research Institute promotes scientific and historical education in the community through our partnership with the school districts and other educational institutions. 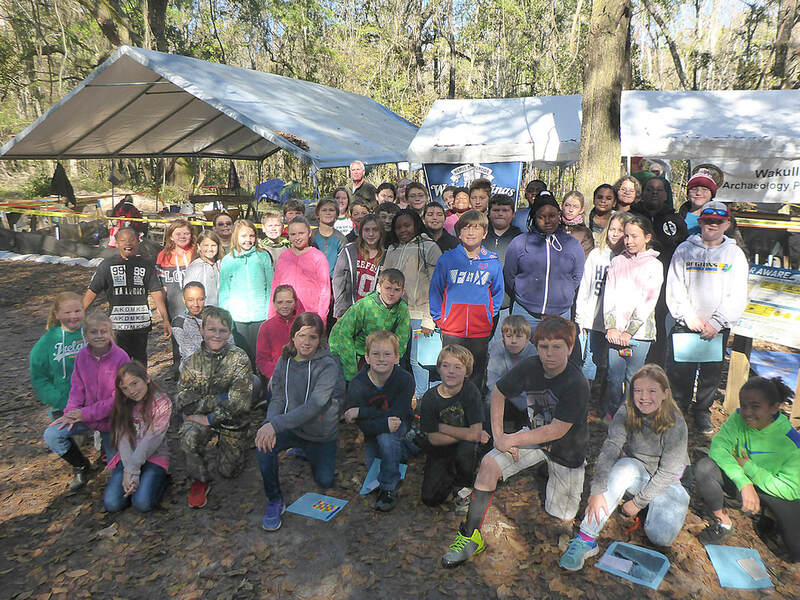 The institute is proud of our recent field program for Wakulla County's fifth-graders and teachers as well as our work with dual-enrolled seniors from Wakulla District this spring. 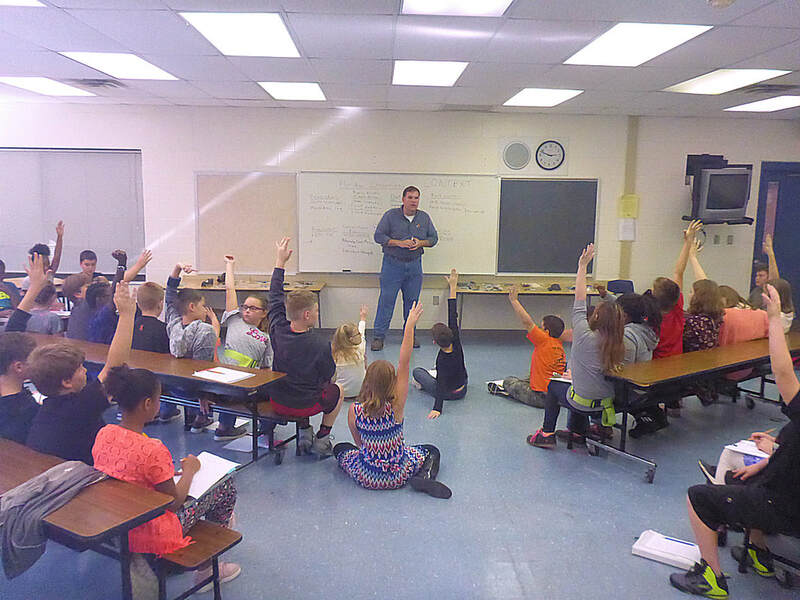 Students raise their hands and answer questions about archaeology and Florida history. 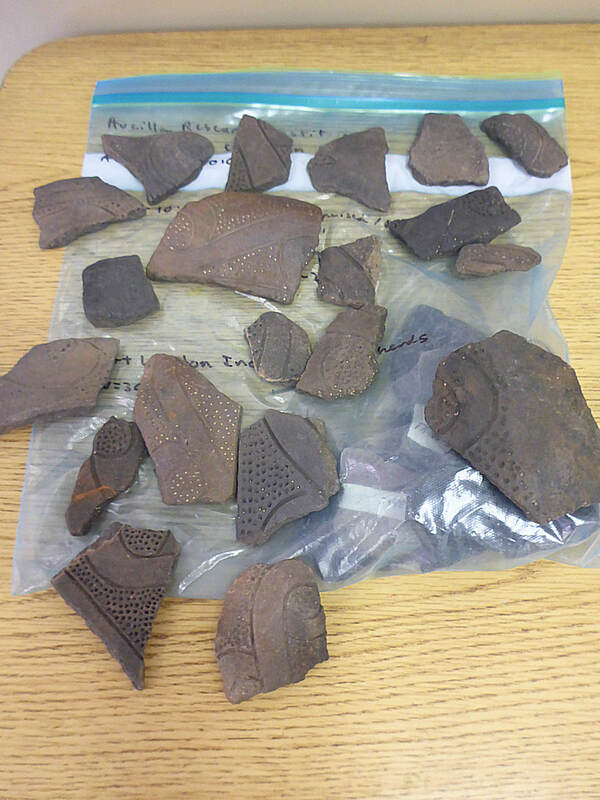 Sample artifacts from the local area are on-hand for show and tell. More images . . . These 5th graders helped screen for real artifacts at the Wakulla Springs dig site near Tallahassee, Florida. 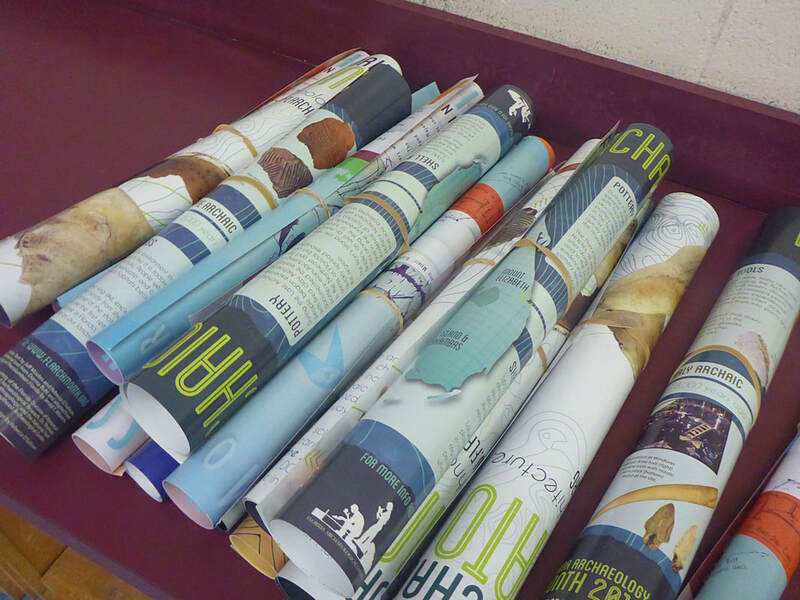 Posters and printed content are available for teachers to help educate students on scientific topics. ​An object made by a human being, typically an item of cultural or historical interest.